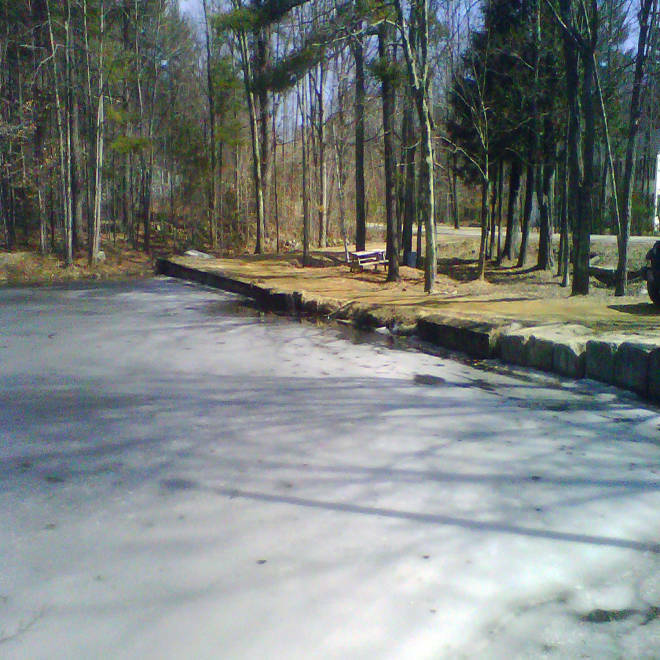 After a year of debate about what many viewed was an offensive name, this New Hampshire pond, pictured during winter months, has been officially renamed Carleton Pond. Jew Pond, a small, unremarkable, yet controversial body of water in New Hampshire, has been officially renamed Carleton Pond, which many had been calling it anyway. Residents from Mont Vernon, N.H., had pejoratively dubbed it “Jew Pond” in the 1920s after two Jewish businessmen from Boston bought a hotel there, the Los Angeles Times reported. The businessmen wanted to reopen the hotel for Jewish guests, who had been banned from the hotel – and from most hotels in New Hampshire. The pond had been given other names – Spring Pond and Fire Pond among them – but “Jew Pond” made its way onto federal maps in the 1960s, the Nashua Telegraph reported. It wasn’t until 2010, when an algae bloom prompted the state to close off the lake that Jew Pond made headlines. “A lot of us kind of cringed that our town would be characterized as having a pond that could be offensive to people and viewed as anti-Semitic,” Rich Masters, a Mont Vernon health officer, said in Dobbs’ documentary. Masters ultimately petitioned the town to change the pond’s name because he found it disrespectful. Jew Pond gained national attention and even Daily Show host Jon Stewart did a bit on the pond in March, suggesting, jokingly, that it might be inhabited by a mythical and neurotic creature (Woody Allen). But some Mont Vernon residents didn’t find the pond’s name offensive. After a year of debate, Mont Vernon residents overwhelmingly voted to change the pond's name to Carleton Pond after George O. Carleton who donated it to the town. The U.S. Geological Survey agreed and, on Friday, officially changed its name.